Koi bi ghere jaine bafat na kartu, badhdha fatafat khai leo ne chaalo (None of us are to go home and spill the beans of our little secret okay?. Eat fast and lets go!). This was one of us group of friends enjoying ice filled fruit flavoured pops, we called them pepsi cola and they were the sweetest fruit of our childhood summer vacations, why?, because they were made of questionable water and flavourings and were notorious for giving us sore throats. 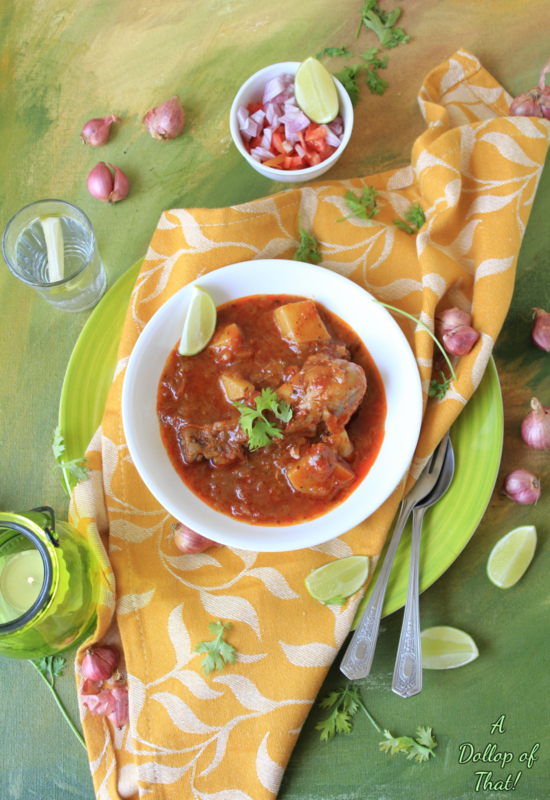 A Parsi is asking you to keep a secret or not to spill the beans when you are asked to not do a bafat!, no thats not the only time we say Bafat, but also use it in reference to a deliciously fiery and tantalizingly delicious curry made with mutton or chicken. 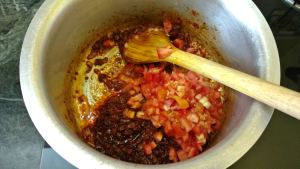 Now how this gem of a recipe became a part of our cuisine is out for debate, but a large part of our minuscule community agrees, that it was introduced to us by the young lads and dames who worked as cooks at Parsi households. 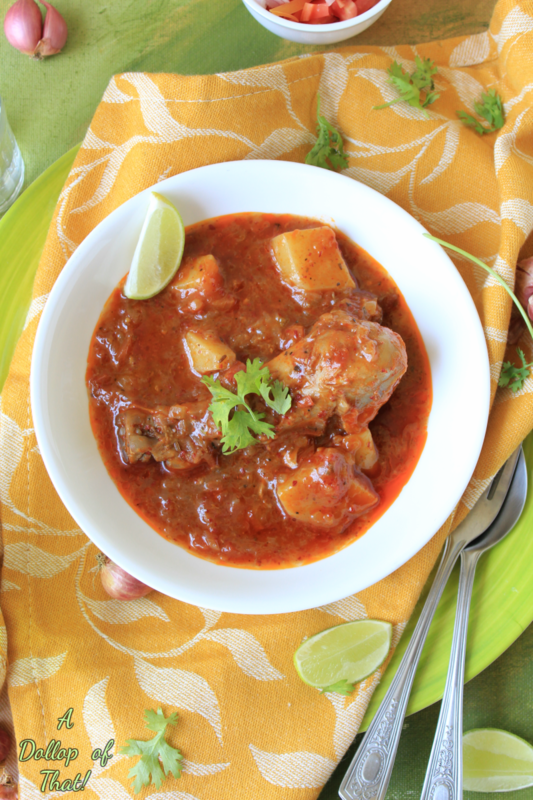 Mostly hailing from coastal regions like Mangalore and Goa, these exceptional cooks not only whisked up a mean Dhansakh and lip smacking Patra ni Machchi as instructed by the home's oldest matriarch (whom they referred to as Pila, Ola or Vila Bai), but also introduced their own type of food to the Parsi repertoire. Bafat happens to be one such dish. 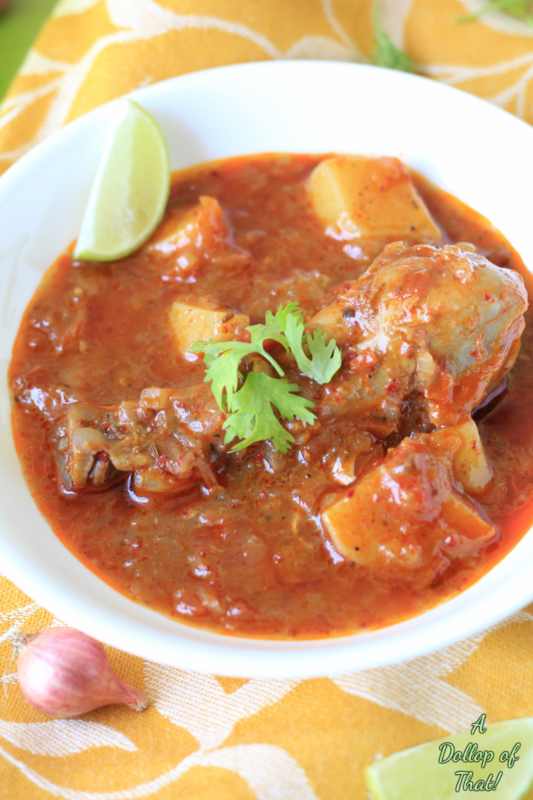 Hailing from the city of Mangalore, Baffath or Bafad is a hot and tangy curry, usually made with pork and had as a Sunday lunch, post church by Mangalorean Catholics. 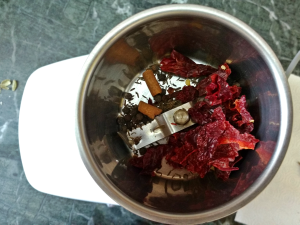 Once a basic powder is made, Mangaloreans use it in a wide number of recipes. Now like most recipes, when adapted from one diversity to another, the later gives it their own special twist/ touch and makes them their own to be passed on from generation to generation and preserved for posterity. Marinate the chicken in salt and ginger garlic paste and set aside. 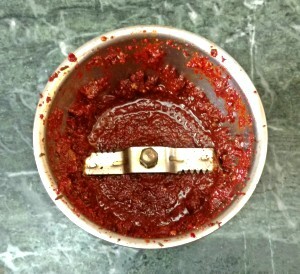 Next grind all the spices along with the vinegar to form a paste. Now heat half of the ghee and fry the onions till light brown. 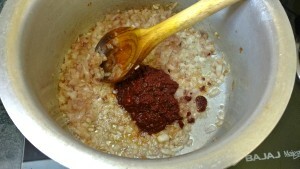 Next, fry the spice paste and add in the tomatoes, jaggery and salt and cook on a low heat for 1 to 2 minutes. Add in the chicken and potatoes and cook till half done. 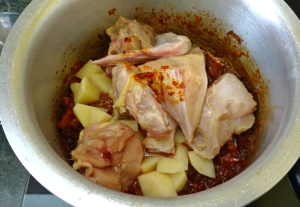 Add water or chicken stock, mix well and simmer till chicken and potatoes are fully cooked. Allow the moisture to reduce to form a thick gravy.